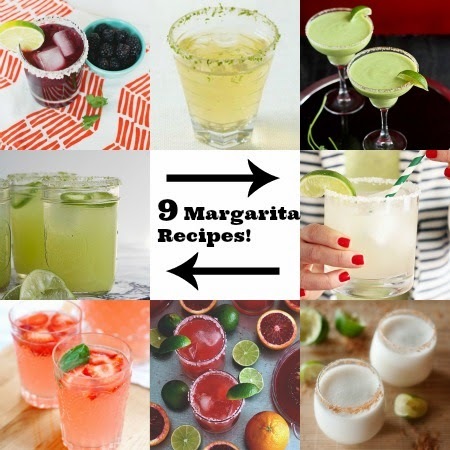 La vie Jaime : 9 Margarita Recipes for Cinco de Mayo! 9 Margarita Recipes for Cinco de Mayo! Happy Cinco de Mayo! I love a good margarita, so I will certainly be enjoying one today. I've rounded up some unique recipes that you can make today or any day. mmmm I'd love to try the strawberry/basil! yum!!! margaritas, chips and guac why is that such a perfect food trio?? gorgeous margs! I'll keep these marked for summer.